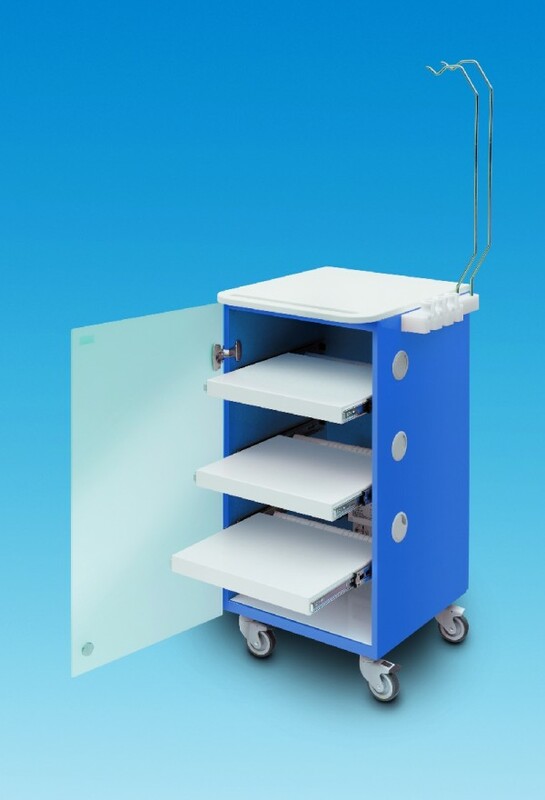 The multifunctional cabinet is designed to improve the organization of the operatory. By keeping the electronic equipment properly stored, it prevents the cords and cables from interfering with the action in the operatory and improves overall hygiene while saving time (and money). The LC Implant Suite is an essential element of any operatory where oral surgery, implantology, endodontics or periodontics are performed, or where the Physiodispenser or piezoelectric instruments are used. The LC Implant Suite is available with three shelves or two shelves and a drawer. - Teflon support for 3 hand pieces/contra angles. It is possible to sterilize only support for hand pieces after having removed them from the base which is made of polyethylene (not autoclavable) - includes 2 supports for handpieces Ø 0.94" and 1 support for handpieces Ø 0.04"
- Multiple socket connection - If required, LC Implant Suite can be equipped with American, British or Swiss electrical outlets. - One package of tubing extensions for mechanical irrigation systems (Ref 32.F0100 10 pcs.). Use of the extension is necessary for proper use of the hose set. Available in different colors: blue, white and orange. The package is equipped with a practical single-use tip indicator, used to monitor goods that must remain upright. The indicator turns red if the package is tilted past 80°. However, the indicator remains unaffected by movement due to normal handling conditions.